APF Member, Jared Ulmer, has started a vlog on YouTube called Porphyria J. It's a vlog devoted to creating community and awareness around Porphyria, specifically EPP, and how he lives with it during the sunniest and hottest season of the year. The first episode of the 13 week series, called Summer Shade, aired last night. Comment, Like, Share and Subscribe for new episodes every Tuesday! Jared will be covering a spectrum of topics and we hope you join him on his journey. A modest person is realistic. He recognizes that there are limits to his time, energy, and resources. So rather than trying to change everything at once, he makes improvement gradually. Trying to reach all your goals at the same time is a sure way to reach none of them! Create two ‘master lists’—a list of good habits that you would like to build and a list of any bad habits that you need to get rid of. Do not limit yourself; on each list, write down as many as you can think of. Prioritize the items on your lists, numbering them in the order of importance to you. Choose a few habits—even just one or two—from each list, and focus on those. Then move on to the next one or two habits on each of your lists. WHEN Austin’s alarm clock goes off, he is sleepy. But he immediately gets out of bed, puts on the exercise clothes he laid out the night before, and goes for a brief jog—just as he has three times a week for the past year. Laurie just had a fight with her husband. Angry and frustrated, she storms into the kitchen, pulls out a bag of chocolate candies, and eats them all—just as she seems to do every time she is upset. What do Austin and Laurie have in common? Whether they realize it or not, both have been affected by a powerful force—the force of habit. What about you? Are there good habits that you would like to build in your life? Perhaps your goal is to exercise regularly, to get more sleep, or to keep in closer touch with loved ones. On the other hand, maybe you would like to break a bad habit, such as smoking cigarettes, eating too much junk food, or spending excessive time on the Internet. Admittedly, it can be difficult to overcome a bad habit. In fact, it has been said that a bad habit is like a warm bed on a cold day: it’s easy to get into and hard to get out of! So how can you harness your habits and make them work for you instead of against you? Over the weekend, Ariel Lager hosted a successful patient meeting in Philadelphia. There was a great turnout and Dr. Manish Thapar gave a wonderful presentation about the porphyrias before welcoming questions from the group. Alnylam Pharmaceuticals also made a great presentation about their current research studies. Jessica from the APF was able to attend the meeting and was very happy to meet so many people! Please let the APF know if you'd like to host a meeting in your area! American Porphyria Foundation added 3 new photos. HOORAY!! 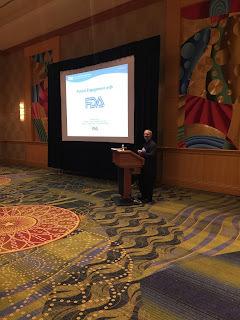 The APF, with your help, got an EPP meeting with the FDA! The meeting is scheduled for October 24, 2016 from 10am - 4pm (EDT) at the FDA. The FDA will be observing how many people are interested in this meeting so we need as many people as possible to attend. We MUST show them the extreme need for treatment. Great work, everyone! See below for more details! On behalf of the Food and Drug Administration (FDA), we invite you to an upcoming public workshop on Erythropoietic Protoporphyria (EPP) to be held October 24, 2016 from 10am-4pm (EDT) at the FDA Campus in Silver Spring, Maryland. Specific details are outlined below. The public workshop is intended to discuss how best to facilitate and expedite the development of safe and effective drug therapies to treat signs and symptoms related to EPP. FDA will provide information for and gain perspective from patients and patient advocacy organizations, health care providers, academic experts, and industry on disease symptoms and its impact on patients' daily life, patient experience with current treatment regimens for EPP, and various aspects of clinical development of products intended to treat EPP. We're asking you to help make this workshop a success by encouraging patients, patient representatives, health care providers, academic experts and industry to participate either in-person or through the live webcast. FDA needs your help to make this workshop a success. Please direct stakeholders to the links below to register and to learn more about the workshop. We look forward to this exciting workshop and hope to see you there. If you have any questions, please feel free to contact us at meghana.chalasani@fda.hhs.gov. NORD gratefully acknowledges Joseph R. Bloomer, MD, Professor of Medicine and Genetics, Director of the Liver Center, Director of the Porphyria Center, University of Alabama at Birmingham, for assistance in the preparation of this report. ALAD porphyria is a very rare genetic metabolic disease characterized by almost complete deficiency of the enzyme delta-aminolevulinic acid (ALA) dehydratase. Deficiency of this enzyme leads to the accumulation of the porphyrin precursor ALA, which can potentially result in a variety of symptoms. Symptoms vary from one person to another, but usually come from the neurological and gastrointestinal systems. This disease is inherited as an autosomal recessive disorder. ALAD porphyria is in the group of disorders known as the porphyrias. The porphyrias are characterized by abnormally high levels of porphyrins and porphyrin precursors in the body due to deficiencies of enzymes essential to the creation (synthesis) of heme, a part of hemoglobin. There are at least seven types of porphyria. The symptoms associated with the various types of porphyria differ. It is important to note that people who have one type of porphyria do not develop any of the other types. Porphyrias are generally classified into two groups: the "hepatic" and "erythropoietic" types. Porphyrins and related substances originate in excess amounts from the liver in the hepatic types, and mostly from the bone marrow in the erythropoietic types. ALAD porphyria is a hepatic form of porphyria. The onset, severity and type of symptoms can vary greatly in individuals with a specific type of porphyria. This variation may depend on, in part, the amount of residual enzyme activity in each individual. Individuals with more significant enzyme deficiency may have more severe symptoms and earlier onset. Individuals with partial deficiency will have milder symptoms, and some individuals will not develop any symptoms (asymptomatic). It is important to note that affected individuals may not have all of the symptoms discussed below. Affected individuals should talk to their medical team about their specific case, associated symptoms and overall prognosis. Individuals with ALAD porphyria may have bouts or “attacks” when symptoms are intense, which are referred to as neurovisceral or acute attacks. An attack may last for several weeks. During an attack, affected individuals may experience severe abdominal cramping or pain accompanied by vomiting and constipation. During infancy, gastrointestinal abnormalities may cause an affected child to fail to grow and gain weight as expected. Several other neurological symptoms can occur during an acute attack due to problems with the nerves outside the central nervous system (peripheral neuropathy), resulting in numbness or tingling in the hands and feet, burning pain, sensitivity to touch, and a lack of coordination. In severe cases, the motor nerves are involved, resulting in loss or partial impairment of the ability to use voluntary muscles. ALAD porphyria can also be associated with psychological changes during an acute attack. In severe cases, loss of contact from reality (psychosis) has been reported. Additional symptoms that occur during acute attacks include a rapid heartbeat (tachycardia), high blood pressure (hypertension), seizures, and breathing (respiratory) impairment. ALAD porphyria is caused by mutations in the ALAD gene, and the disease is inherited as an autosomal recessive disorder. This means that both copies of the ALAD gene have a mutation. Genetic diseases are determined by the combination of genes for a particular trait that are on the chromosomes received from the father and the mother. The ALAD gene contains instructions for creating the enzyme aminolevulinate dehydratase (ALAD), which is necessary for the production of heme. Heme is part of hemoglobin, which is the oxygen-carrying component of red blood cells. Heme is mainly produced in the bone marrow and the liver. Eight different enzymes are necessary for the creation of heme. Mutations of the ALAD gene result in deficient levels ofporphobilinogen in the body, with accumulation of ALA, which causes the symptoms associated with ALAD porphyria. A variety of different triggers have been identified that can precipitatean acute attack in individuals with ALAD porphyria. These triggers include alcohol, certain drugs, physical and psychological stress, infection, fasting (reduced caloric intake) and dehydration. The use of estrogen or progesterone is also suspect of triggering an acute attack. ALAD porphyria is an extremely rare disorder with few cases reported in the medical literature. Most cases have occurred in Europe. However, the disorder can potentially occur in any population. More males have been identified with ALAD porphyria than females in the medical literature, but the disorder affects probably males and females in equal numbers. Researchers suspect that some cases of ALAD porphyria go undiagnosed or misdiagnosed, making it difficult to estimate the true frequency of this disorder in the general population. The onset of ALAD porphyria is usually during infancy or childhood, but late-onset of the disorder (well into adult life) has also been reported. Symptoms of the following disorders can be similar to those of ALAD porphyria. Comparisons may be useful for a differential diagnosis. A diagnosis of ALAD porphyria is made based upon identification of characteristic symptoms, a detailed patient history, and a thorough clinical evaluation and of specialized tests that can detect delta-aminolevulinic acid in the urine. Molecular genetic testing can confirm a diagnosis of ALAD porphyria by identifying the characteristic genetic mutation that causes the disorder. The treatment of ALAD porphyria is directed toward the specific symptoms that are present in each individual. Because there have been so few cases of ALAD porphyria, there is only limited information on treatment for the disorder. Avoidance of triggering factors such as alcohol, certain drugs, fasting, and low carbohydrate diets is recommended for affected individuals. The specific drugs that may need to be avoided in one person can differ from the drugs that need to be avoided in another. More information on these preventive measures and a list of drugs that may potentially need to be avoided are available from the American Porphyria Foundation (see Resources section of this report). Two standard treatments for acute porphyrias in general are intravenous infusions of hemin and supplementation with glucose. However, these therapies have not been universally effective in treating individuals with ALAD porphyria. If hemin cannot be obtained quickly enough, glucose administration both orally and intravenously (which has similar effect to hemin) may be used to treat individuals with ALAD porphyria. Additional drugs may be used to treat affected individuals during an acute attack including pain medications such as opiates, beta-adrenergic blocking agents such as propranolol to treat a rapid heartbeat, sedatives to calm nerves, drugs that reduce nausea and vomiting (anti-emetics) and anti-seizure medications (anti-convulsants). In addition, intravenous fluid replacement may be necessary during an acute attack to ensure that proper fluid and electrolyte levels are maintained. Individuals with ALAD porphyria should carry Medic Alert bracelets or wallet cards. Genetic counseling may be of benefit for affected individuals and their families.